Sensei John Federico started judo in 1991 at the University of Toledo under Tony Owed. Sensei John joined Amerikan Judo in 2000 and founded the Columbus branch of Amerikan Judo. 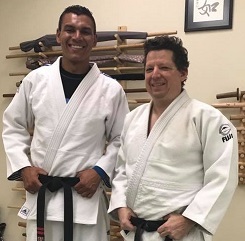 He has been practicing and teaching judo in Columbus ever since.